This Mini Slitter 250mm machine is designed with a maximum size of 250 mm and mini jumbo width. 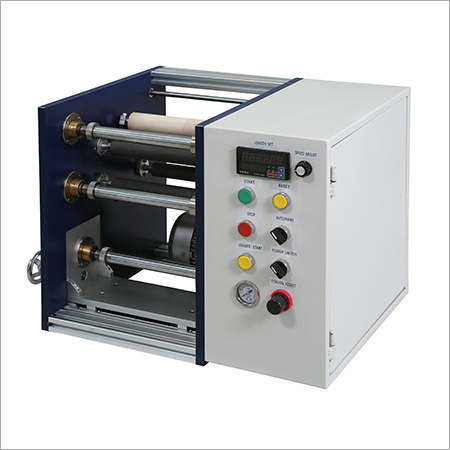 This is well equipped with double or single rewinding shaft according to the different requirements of the customers. This light weight and highly efficient model is available with unmatched working speed for providing complete satisfaction to the clients with high output. This is designed ideally for ensuring to provide moderate quantity of slitting operation with complete comfort ability and smoothness. This provides hassle free operations with its high durability and easy to use structure. Its cost-effectiveness ensures to provide the best value of money to the patrons with maximum results and output. You can avail the range with single phase 220HV, 50HZ powerful motor to ensure maximum speed with no trouble and disturbance. In addition to this, it is very easy to maintain and operate with its low maintenance features as well as easy functions.